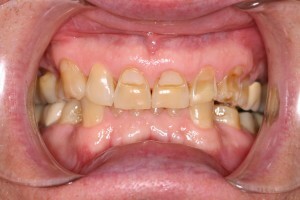 This patient had significant wear throughout his teeth. 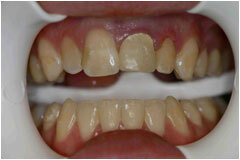 In order to restore the size, shape and alignment, we placed porcelain crowns on his upper and lower teeth. 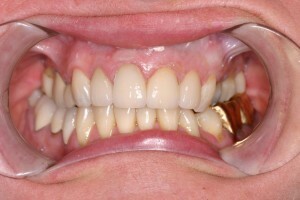 These restorations are very durable and esthetic. 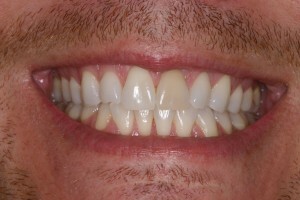 Cosmetic dentistry……..WOW! 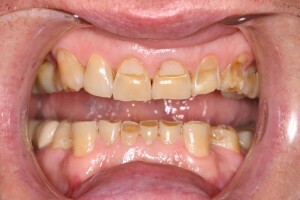 This patient had crowns on her upper teeth that were placed over 30 years ago. The edges of the crowns were now visible and the roots of the teeth could be seen. The crowns were removed and replaced with all porcelain crowns. These crowns do not have any metal in them and they are much more natural looking. 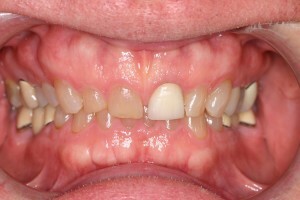 This patient’s teeth were genetically small. 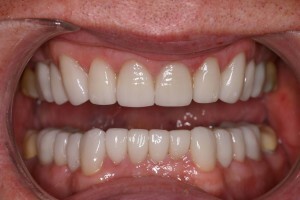 We placed porcelain veneers on her upper teeth to close the gaps and provide a more esthetic appearance. 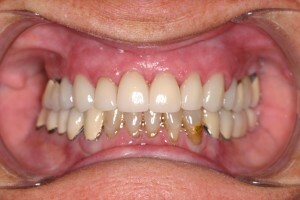 This patient had multiple old fillings that had stained and decayed. 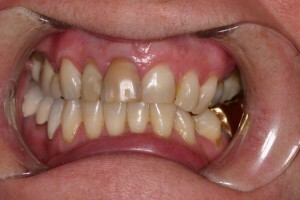 The lower teeth were very dark in color. We used bleach to whiten her upper and lower teeth. Then porcelain restorations were placed on her upper front teeth. 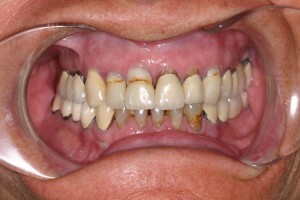 This patient had an old crown on his front tooth. The crown did not match and was very noticeable. 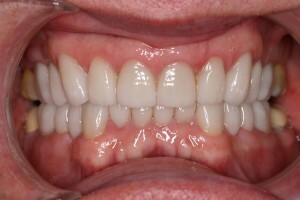 The crown was removed and replaced with a new all porcelain crown. The new crown was a great color match and appeared very natural. 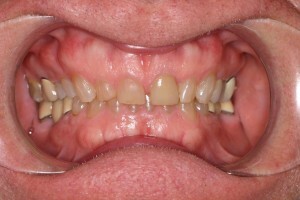 This patient had a discolored front tooth. When he was younger, he was hit in the mouth and the trauma damaged his front tooth. He had a root canal years ago and since that time, the tooth has discolored. 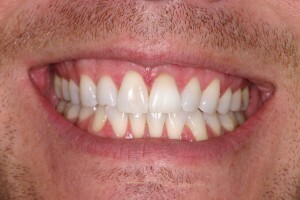 We were able to bleach his tooth to match his adjacent teeth using an internal tooth whitening system. 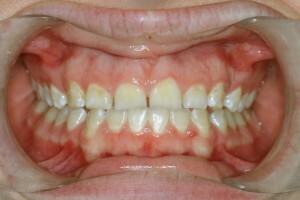 This patient was not happy with the color, shape or alignment of her teeth. 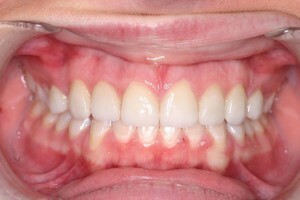 Her front tooth had a history of root canal treatment and had discolored over time. 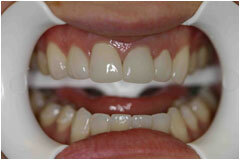 We placed porcelain restorations on her 4 front teeth in order to create the proper proportions. These restorations are very natural in appearance.